Is your business taking the necessary steps to operate in a hybrid world? Today, network automation, visibility and management considerations often take a back seat during the infrastructure purchase process. This oversight ultimately results in expensive and time consuming troubleshooting (mostly based on best guesses). Those days will soon be a distant memory as network analytics, coupled with policy-driven software-defined networking, enable dynamic network-wide optimization. If you look at most network professionals’ LinkedIn profile, you’ll see a slew of vendor certifications. Although this in-depth knowledge is critical for managing multi-vendor networks, it also creates silo expertise. As network building blocks with standardized interfaces become available from more and more vendors, we’ll see network engineers abandon specialized expertise in favor of becoming fluent in software so they can deal with networks that are increasingly software-defined. While many vendors are beginning efforts to consolidate NPMD toolsets, IT professionals will need to become network generalists in order to manage fewer tools that offer more expansive capabilities and show additional value to the organization. 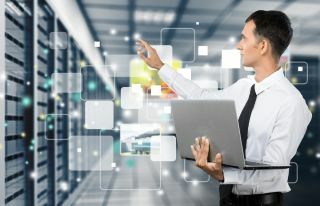 Among general software and networking skillsets, virtual and cloud infrastructure, basic scripting, and APIs are several key areas industry analyst, Zeus Kerravala, recently pointed out as focus areas for NetOps pros.